Last week the picture of a girl with multicolored eyes began circulating round the social media. 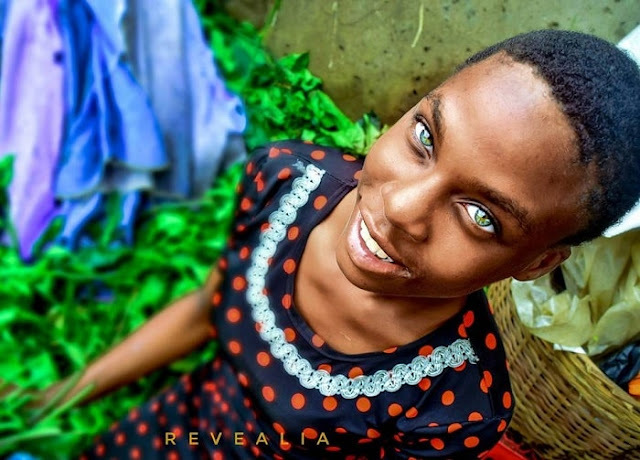 Many people have nothing but awe and great admiration for the young girl, named Peace and said to be a vegetable seller in one of the popular markets in Lagos. "If only I can just have her eyes," one Twitter user wrote. Eye color over the years has been regarded as a thing of beauty. Wearing contact lenses for aesthetic purpose is just as common as the other reasons people wear them. But what if there is a condition that naturally changes your eye color from any of the more common shades to something more striking, and fabulous? Heterochromia is a rare condition that causes differences in eye color. Because eye color is a polygenic trait, meaning it is determined by multiple genes, heterochromia is believed to be largely hereditary. 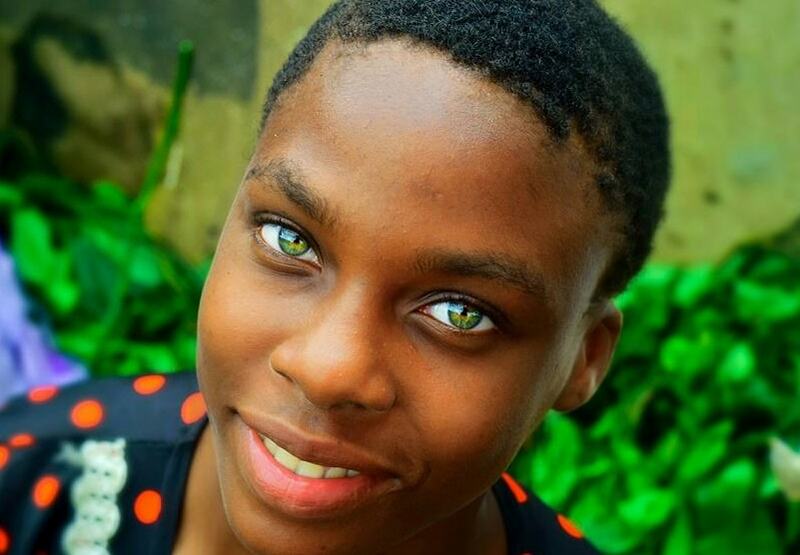 Nigerian girl with multicolored eyes. In sectoral heterochromia, there is a segment of contrasting color in the iris (colored part of the eye). In central heterochromia, there is a uniform splash of two or more colors in each eye. In complete heterochromia, perhaps the most dramatic of all three, each eye will have a different color. That is, someone may have one blue eye and one green eye or a blue eye and a brown eye. Looking at the Nigerian girl's pictures, it would be easy to see hers is the case of central heterochromia. Just like the dimple and other cute mutations seen in humans, this can also be regarded as another example where a supposed defect results in something beautiful and admired.